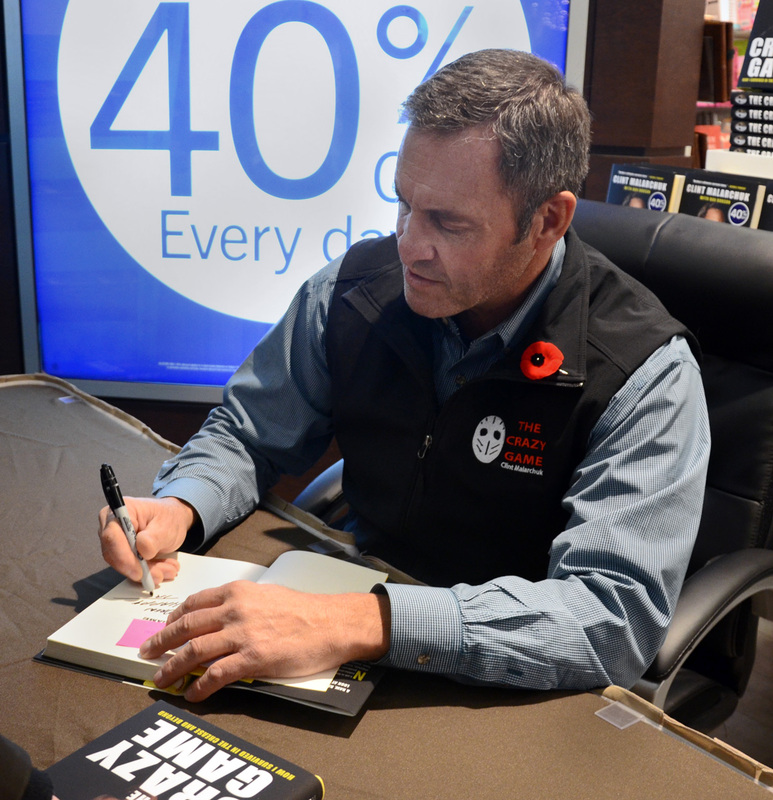 Clint’s story has been told many times: in his book, “The Crazy Game”, in interviews that have been recorded and in numerous speaking engagements and workshops throughout Canada and the United States. An attempt is made here to focus on his connection to Grande Prairie and emphasize the role of a number of especially important relationships in his life. 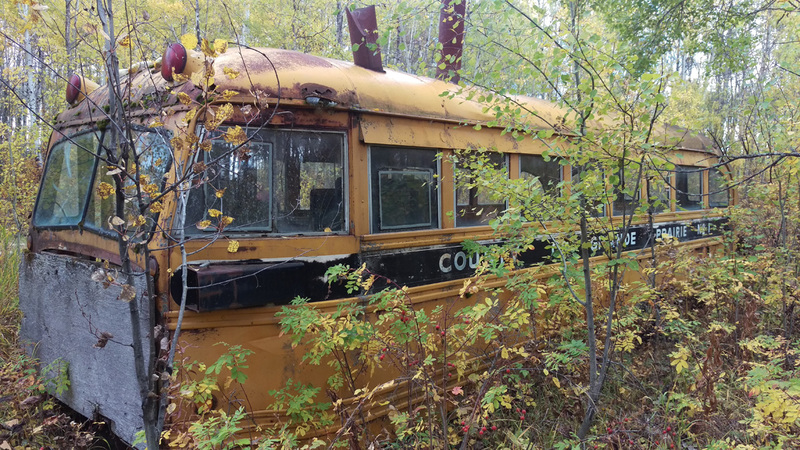 Clint’s journey began on May 1st, 1961 in Grande Prairie, Alberta and if his wishes are followed, his journey will end - where it started - with the sprinkling of his ashes in his hometown. In an interview with Stan Neufeld Clint stated, “I’m a native of Grande Prairie. That’s one thing I’ve always been proud of. I have family there, I was born there, and it’s also my hockey roots.” At age three, bob skates were strapped to his feet and on a slough on the outskirts of town is where Clint’s on ice adventures began. Hockey was in his genes and even at age three one might have known that hockey would play an important role in his future. Clint’s older sister Terry helped teach him to skate. Clint’s grandfather, Leonard Henning, was a competitive speed skater and became a prominent figure in the development of young hockey players following his transfer to Grande Prairie in 1928 when GP Hockey Legend Max Henning, Clint’s Uncle and surrogate father, was four years old. Equipment may have been second hand, but Leonard made sure that his son, Max, had skates, sticks and hockey gear. Along with Bert Bessent they helped organize games and provided transportation enabling the boys to compete against teams from nearby communities. Clint’s Uncle Max was a tough and talented hockey player. For many years he entertained local hockey fans playing defense for the Red Devils, and for teams such as the Key Club, a team that he organized for returning veterans after WW11 and later for the Grande Prairie Athletics. He went on to become a leader in Grande Prairie hockey circles making sure that there was ice and an administrative framework for the next generation of young people to play the game. That generation included Max’s son Cam who also played with the Athletics. That’s a remarkable tradition - three generations of hockey players and volunteers each generation serving as role models for the next. On the other side of Clint’s gene pool was Clint’s father, Mike Malarchuk who also learned to skate and play hockey on ponds in Grande Prairie and is remembered in his hometown as a skilled and prominent goal tender for senior teams in the South Peace Hockey League. 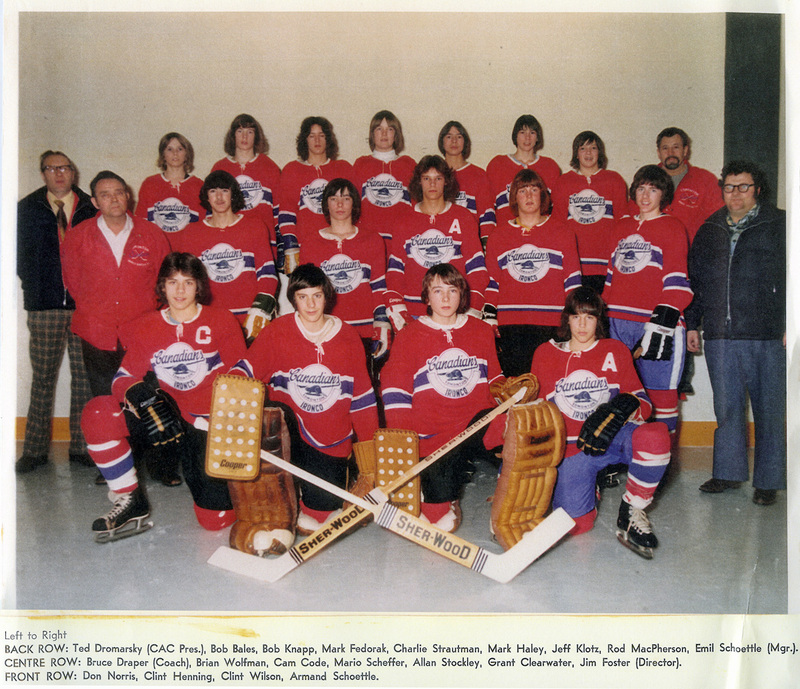 With Mike in the net Grande Prairie won several championships playing against talent-laden teams in the South Peace Wheat Belt Hockey League: teams such as the Hythe Mustangs and the Dawson Creek Canucks. Certainly Leonard, Max, Mike and Cam played important roles in Clint’s development as a hockey player as did his older brother Garth but it is unlikely that Clint would ever have become a career hockey player or for that matter survived without the support of his mother, Jean Jones. Jean is Max Henning’s sister and was the youngest member of Leonard Henning’s family. 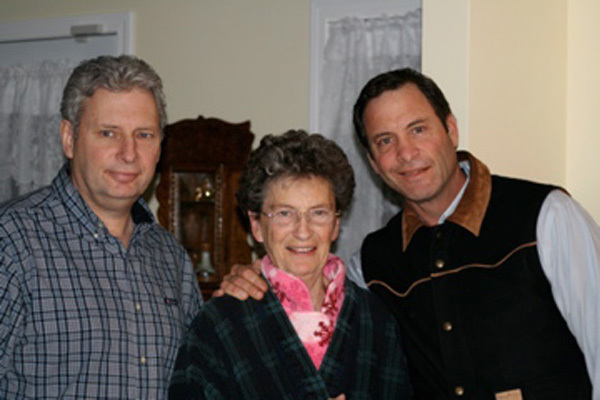 Jean met and married Mike Malarchuk when they were young adults in Grande Prairie. Jean was never a highly visible personality in Clint’s journey but her quiet, unwavering influence was his foundation. Clint has two older siblings, sister Terry and Garth, the eldest. The family of five moved to the Elmwood community in Edmonton when Clint was six. 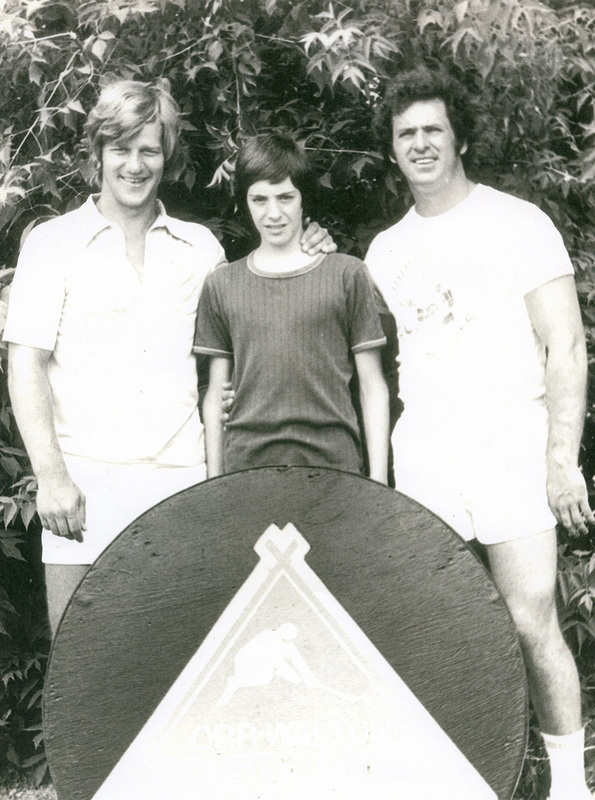 It was an exciting event for Clint shortly after they moved to Edmonton where Clint was playing hockey for a bantam hockey team when his team made a road trip to play in Grande Prairie. With coaching from his older brother Garth, Clint was beginning to shine as the great goal tender he was destined to become. “That was a big deal and even more of a big deal is that I had a lot of relatives in Grande Prairie who came to watch. I was playing hockey and just started to get good at playing goal. My Aunt Marie and Uncle Max Henning came to see me. Aunt Marie gave me a good luck charm which I still have. “ (Malarchuk interview with Grande Prairie Herald Tribune editor-in-chief, Fred Rinne). Hockey Legend Marv Bird was coaching the bantams from Grande Prairie and recalls being puzzled upon seeing the name Clint Henning on the Edmonton score sheet. For a short period Clint changed his name from Malarchuk to Henning, his mother’s family name reflecting Clint’s alienation from his dysfunctional Dad. The Malarchuk’s move to Edmonton started out well enough but the family drifted into a troubled period as Mike spiraled downward into alcohol addiction, a disease that would eventually destroy him. In his book, Clint includes a chapter about his Dad. Hockey was Mike’s life. He was very much involved in coaching and in other ways supporting the hockey programs in which both Garth and Clint participated. He was popular in the community and was Clint’s hero before he sank into dysfunctional addiction and became a threat and liability rather than an asset to family life. Clint’s name change to Henning proved to be impractical as he was the only one of the children to do so and furthermore both Clint and Garth had established names for themselves in hockey as Malarchuks. By the time Clint was playing AA hockey in Edmonton for the Canadian Athletic club he was playing as a Malarchuk. Mike’s out-of-control drinking resulted in a number of predictable negative consequences for the family including poverty, emotional insecurity and embarrassment. 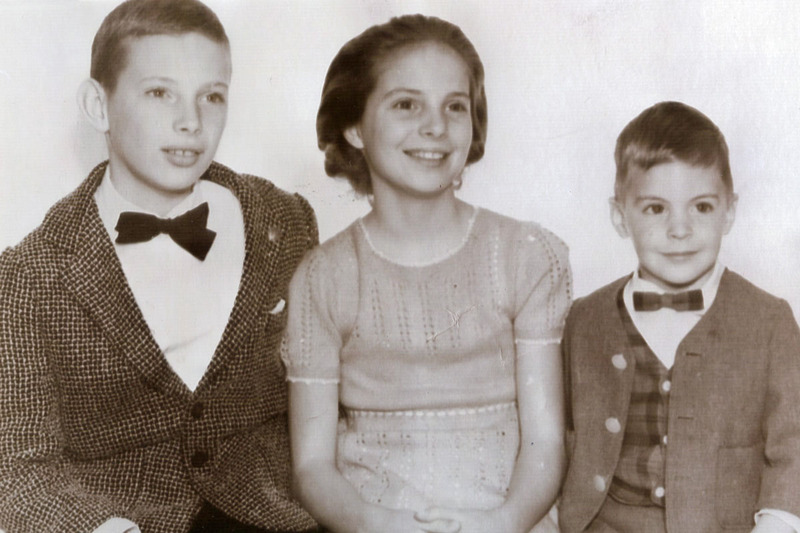 Clint was fortunate to have caring siblings, Terry and Garth who were seven and eight years older. As mentioned earlier, Terry helped teach Clint to skate and in other ways looked out for him. Following in his father’s footsteps, Garth was a goal tender and shared his knowledge with his kid brother. 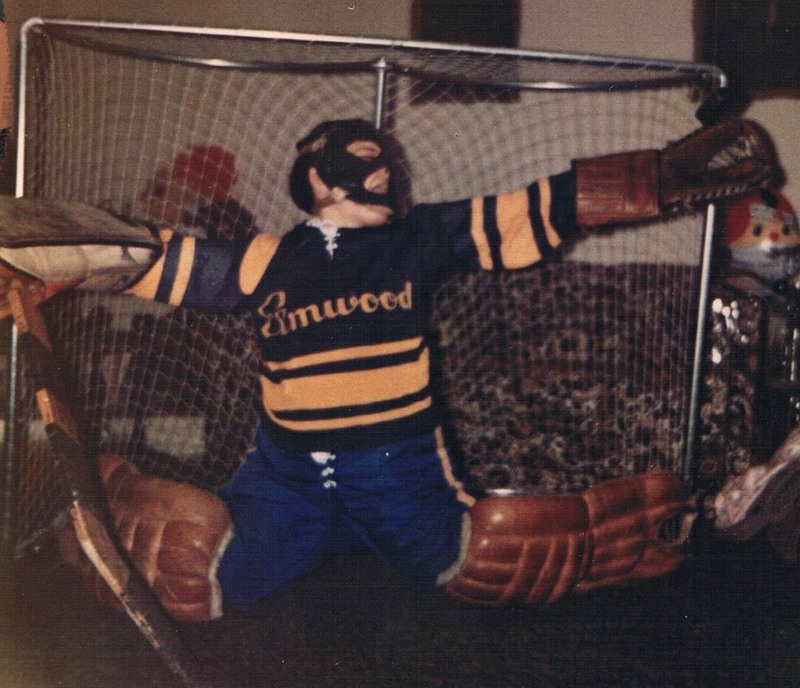 Clint’s all time favourite Christmas present is still a goal-tender’s catcher that Clint received from “Santa” - Garth - when he was away from home playing junior hockey. Although Garth did not play in the NHL, the Washington Capitals drafted him: a team that is now included on Clint’s resume. Garth is currently a scout for the Toronto Maple Leafs. “Garth is pretty much a hockey nut like I am. He played, he was drafted, he had a lot of skill and a lot of talent. Being older than me he was my idol. He was a goalie and that’s what got me into the position - watching him as a younger brother. I looked up to him, my big brother; I always tried to make him proud of me.” With Garth leaving home to play hockey and Terry marrying early, Clint and his mother were left to fend for themselves in very uncertain circumstances. A powerful bond developed between them as together they confronted the challenges of a broken family. Today Clint claims his mother, Jean, is the strongest person he knows. Two settings provided relief for Clint from the stress in his life – the hockey rink and Grande Prairie, where he spent time with extended family, members of the Henning clan. The community 33rink was Clint’s safe haven; “Hockey was my escape. The outdoor rink was the only place I didn’t feel anxious, “ recalls Clint. “I’d load my gear on a toboggan and lug it through the elementary field down the small path to the hockey rink. Mom always knew where I was. That gave her peace of mind.” (The Crazy Game, p. 16). Even at that early age Clint’s focus and determination were apparent. His mother often asked why his equipment was so rancid and at the rink there was the question “Why was Clint’s goal crease stained yellow?” The reason was simple – Clint refused to interrupt a hockey game for bathroom breaks. Among the kids that Clint played against at Elmwood was another goaltender destined for fame and fortune - Kelly Hrudey of the long hair and the blue bandana nicknamed “Hollywood” who featured prominently in the LA King’s 1993 run to the Stanley Cup finals and currently is a favourite CBC hockey analyst. In an interview with Stan Neufeld, Hrudey reported that Clint was not only an excellent hockey player but also a skilled baseball player. They lived in the same neighbourhood and spent many hours on the rink and ball field competing. Kelly believes that at age of fourteen Clint was by far the best goaltender in the neighbourhood. “As professionals playing in the NHL whenever Clint and I played against each other and when circumstances permitted, he and I would visit outside the dressing rooms. We would share stories and quickly get caught up while waiting to board the bus. They are good memories and our friendship remains strong today even though we lived and played in different cities.” Clint reports that he once punched Kelly in the face when tempers flared during a ball hockey game but fortunately the event caused no lasting ill will between them. Kelly and other childhood friends surely must have been aware of Clint’s difficult circumstances when they were growing up. At one point Clint’s mother reports she had to sell some of their furniture in order to make ends meet. How they managed to support Clint’s hockey habit under such extenuating circumstances is remarkable. One of the reasons is “Hitch”. 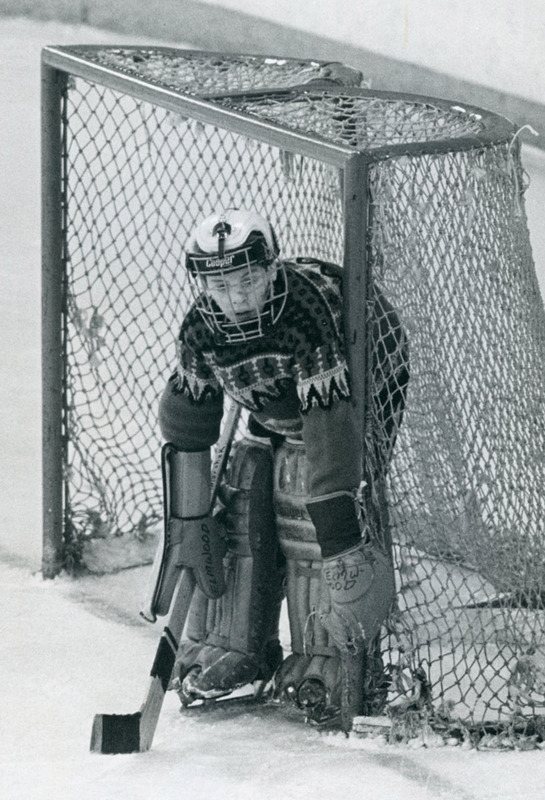 For most of his junior career and his first two NHL seasons, goaltender Clint Malarchuk wore a mask that his mother made. He tells the story about how his mother, Jean, and Garth made their goaltender masks: You put Vaseline all over your face. Then using plaster of Paris, a mould is made of the face. Pieces of plastic cover and protect your eyes and eyebrows then plaster is added. You have to breathe through straws held securely between your teeth. It can get claustrophobic; there is a big trust factor throughout this whole process. Once it dries, you have a mould of your actual face. 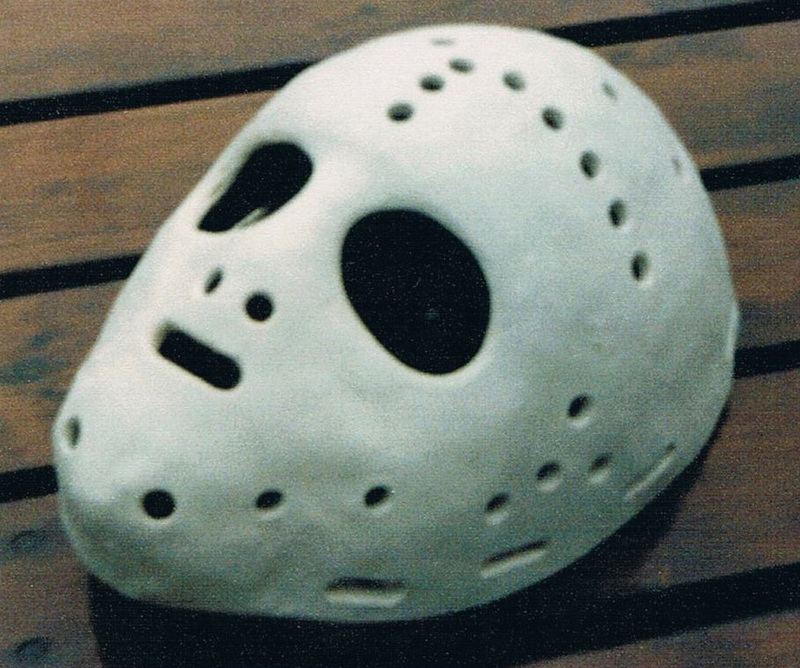 They then built the fibreglass/resin masks, which were some of the first half shell, half cage masks in Edmonton. Creating equipment to save money had its funny moments. One time Garth had a problem when they were pulling off the mould and he started yelling frantically. When asked what the problem was, it turns out that they had forgotten to Vaseline his side burns. Ouch! “Aside from the hockey rink, Grande Prairie was the only place I found peace as a kid.” The place to which Clint refers is his birthplace and home of his mother’s family, the Hennings. Whenever possible, during the summer and on holidays, he spent time in Grande Prairie. One can never completely replace a father but to the extent that it is possible Clint found surrogate parenting, siblings and role models among the Henning clan; he has a very special relationship with his Uncle Max. Clint’s adventures in Grande Prairie read like a Tom Sawyer tale. Throw in Clint’s cousin, Tim Band, and you have a Canadian version of Tom Sawyer and Huckleberry Finn. During one of Clint’s visits to Grande Prairie the town’s annual fair was in progress. While attending a dance one evening he and Tim decided the music was too loud and pulled the plug on the PA system shutting down the music. It was only years later that this indiscretion was exposed. Clint and Tim also teamed up to form the Bandchuk Company, a lawn mowing and yard service venture to make a bit of money. All around Finch’s six hundred acres was wildlife – bears, wolves and coyotes - that were a threat to the cattle. Tom Sawyer and Huck Finn had the Mississippi River as their playground and a raft to explore it. Clint and Tim had countless square miles of pasture, fields, boreal forest, rivers, sloughs with horses to ride and explore the rangeland. It was an idyllic context to help a city boy find moorings. It was on the Finch Ranch that Clint acquired his identity as a cowboy learning to ride, rope and shoot. In the tradition of cowboy culture and the Wild West, Clint recalls how he learned to use a gun. The ability to handle a gun came in handy on one occasion when he was fourteen. It was late afternoon - Clint was alone in a silo. Suddenly the outline of a bear filled the only door - he was cornered. Clint reached for the .30-30 next to him and shot – the bear crumpled in a heap blocking the doorway. The gun jammed when he attempted to shoot the bear a second time but after fumbling with the mechanism he was able to shoot the bear repeatedly. Although motionless he poked the bear several times to make sure it was dead, climbed over the carcass and headed for home. (The Crazy Game, p. 4). The Finches never went off their property to hunt bears but when they encroached on the ranch they were considered fair game. Bears were attracted to leftovers from butchered beef on the ranch and Clint states that he shot bears as if they were gophers. On the ranch he was the shooter – on the ice he was the shot stopper. To complete his identity as a cowboy, Clint plays the guitar and loves Western music. Even today he is seldom seen without his ten-gallon hat. In the NHL he was and is still referred to as the Cowboy Goalie. 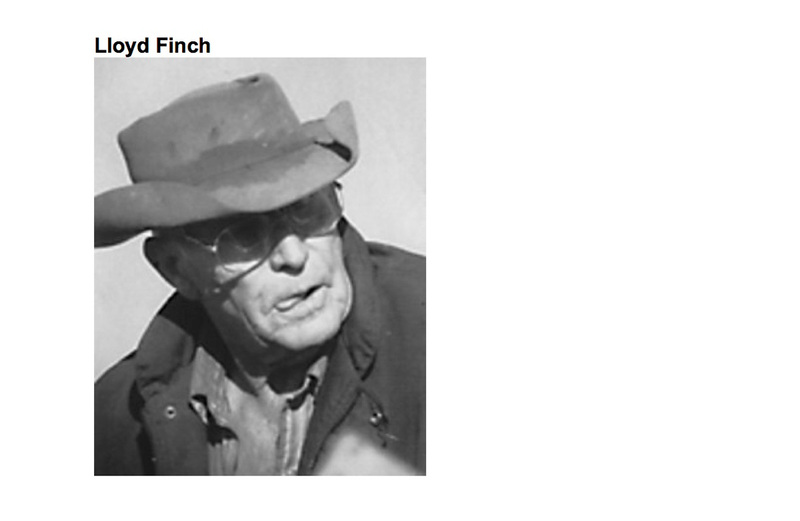 According to Clint, the Finches were typical cowboys - all scruff and grit and chew – probably in their late twenties. They were tough and I desperately wanted to be like them.” On the ice in the NHL it was no big deal for Clint to have a big dude (250 pounds or more) bearing down on him. After all he had stared down 2 ½ ton bulls on the ranch. One of the most important lessons he learned from family and friends in Grande Prairie is that tough and caring are not incompatible character traits. If one is bucked from a horse you spit out the sand, slap the dust from your chaps, gather your wits and body and climb back on. In addition to being “cowboy tough” the Finches were sensitive and caring people. Clint knew this. His identity as courageous, tough and sensitive served him well over the years. On the ice – if you get knocked down you do not writhe around on the ice – you get up and get back into the fray. If another cowboy gets tossed from the saddle and has difficulty getting back on – you provide a boost. If a friend is down on his/her luck you offer assistance. Compassion was a human value that Clint learned from personal experience and from the example of role models like his mother, the Hennings and the Finches. Tim reflected on an incident when they were kids involving a well-known homeless man from Grande Prairie. He often scavenged for food behind food stores. Witnessing this, Clint headed for his Grandmother’s home and raided her cookie jar. The boys then returned to offer cookies to the man who had his head in the back of a garbage truck behind the Co-Op Store. According to Tim, the man gruffly scoffed at the offer and told us “… in no uncertain words to get the Hell out of his sight. That didn’t shake Clint’s desire to help people he believed were in need” (Band interview with Neufeld). Compassion was evident throughout his hockey career, especially when he was coaching and today in his quest to help people who are in emotional distress. However, in Clint and Tim’s mind, compassion and “slap stick” humour and practical jokes are not incompatible. Their shenanigans in Grande Prairie were a foretaste of the sense of humour Clint carried into hockey dressing rooms throughout North America. He brought comic relief to many tense situations on and off the ice. As for caring, his sensitivities enabled Clint to recognize and seek out relationships that were genuine and life saving: people like Rick Dudley, currently Assistant GM for the Montreal Canadians who dropped everything and came to his rescue when Clint found himself in a life and death struggle with his emotional demons.